Tempra Tantrum is a selection of luscious, fruit-forward red wines crafted by new generation global vintner Rocío Osborne. Part of the sixth generation of her family to make wine, Rocío’s goal was to push the bounds of Spanish winemaking to create stylish, modern wines. Cabernet Sauvignon, Shiraz, Merlot and Grenache are blended with the quintessentially Spanish Tempranillo grape, creating wines that are vibrant, plush and original. Critics call them a great value, but Rocío calls them an expression of her life. Underdog Wine Merchants was keenly aware that to best position themselves for the national rollout of Tempra Tantrum wines, they needed a website that was better designed and executed to help support this line-up of progressive spanish red wines. Recognizing Elative’s strengths in web usability and search engine optimization, Brand Manager Reinel Adajar saw the perfect fit that would allow Tempra Tantrum’s website to improve and expand, all while staying faithful to the distinct brand image and focused on their target market segments with the right keyword messaging. 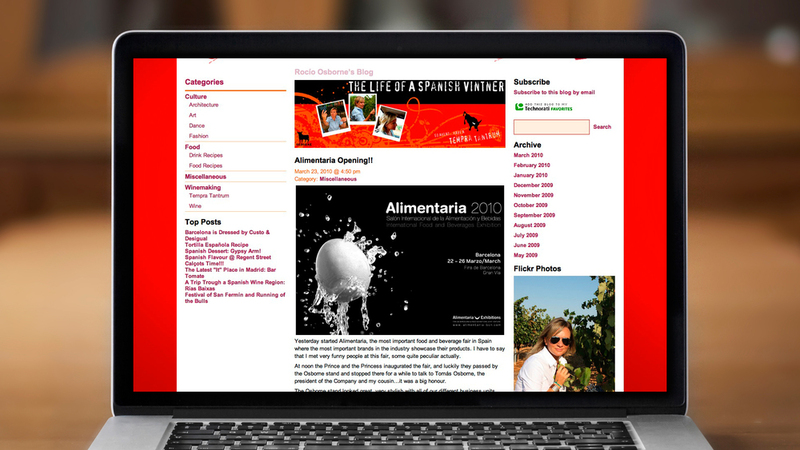 Elative integrated founder Rocío Osborne’s “Life of a Spanish Vintner” wine blog into the website to create a single, unified web property for Tempra Tantrum’s marketing efforts. The design and usability was improved with a strong grid layout, more consistent navigation scheme, and a robust footer allowing tighter linking throughout key pages of the website. The entire website was also recoded to use the latest in web standards for full CSS layouts, compatibility across more modern devices, and efficient focus of web content and copy to better target desirable keywords. 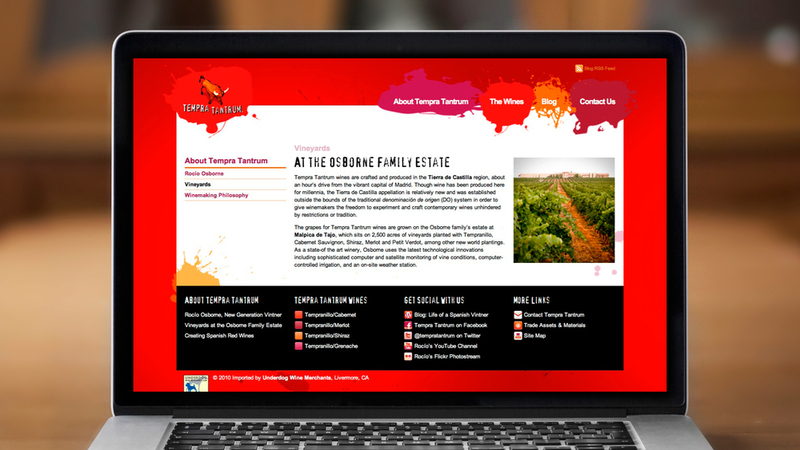 The new and improved website results in a website that is not only optimized for a targeted SEO strategy, which includes ranking on the first page of results for half a dozen targeted keywords, but also a strong design that receives praises for its usability even from reviews of the Tempra Tantrum wines.